When the U.K. press began dubbing Adele "the next Amy Winehouse" in late 2007, the hype didn't touch upon the heavy singer/songwriter influence found in the Londoner's music. Influenced by Suzanne Vega as much as Jill Scott, Adele first made an impression in 2006 when she toured as an opening act for Jack Penate. She had graduated to headlining status by the end of 2007, thanks to BBC Radio 1 playing her single "Daydreamer"; another song, "Hometown Glory," was also released as a single on Jamie T.'s label, Pacemaker. An appearance alongside Paul McCartney and Björk on the BBC 2 television show Later with Jools Holland came next, and a recording contract with XL Recordings was finalized soon after. 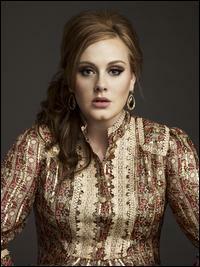 Early 2008 brought similar luck as Adele found herself atop the BBC's new music talent list, which was compiled from the votes of 150 music critics. That same January, XL issued a new single, "Chasing Pavements," along with her debut album, 19. The title reflected Adele's age at the time of the album's release, and its popularity resulted in the release of several bonus editions throughout the year. Also in 2009, Adele won Grammy Awards for Best New Artist and Best Female Pop Vocal Performance.